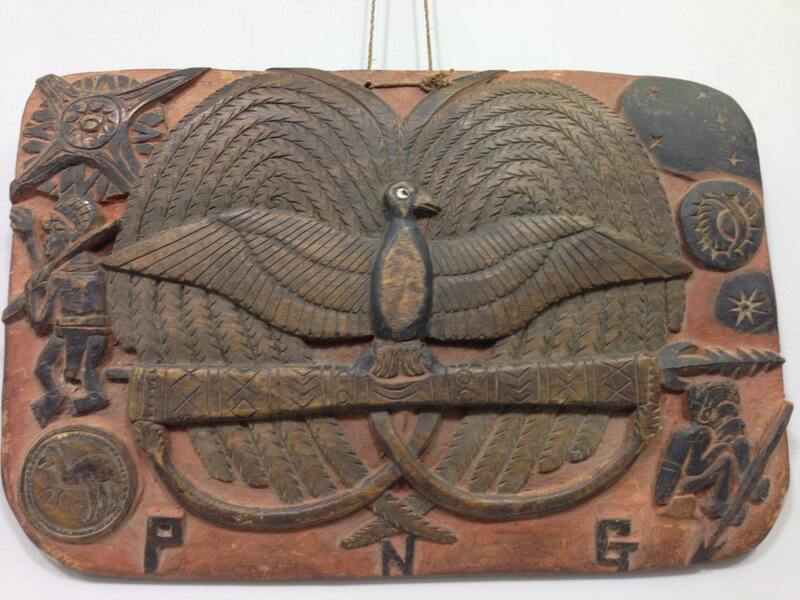 This is a wonderful old hand carved wood Crest Plaque or Coat of Arms from Papua New Guinea. In late 1970, Mr Holman, then in charge of the Art Section at the Dept of Information and Extension Services of Port Moresby the capital of Papua New Guinea, was urgently requested by officials of the House of Assembly to prepare a series of designs for both a National Crest and National Flag. As the Committee was traveling around Papua New Guinea in order to discuss and receive submissions, Mr Holman with his Assistant Esau Reuben, flew to Lae to present a portfolio of design concepts. 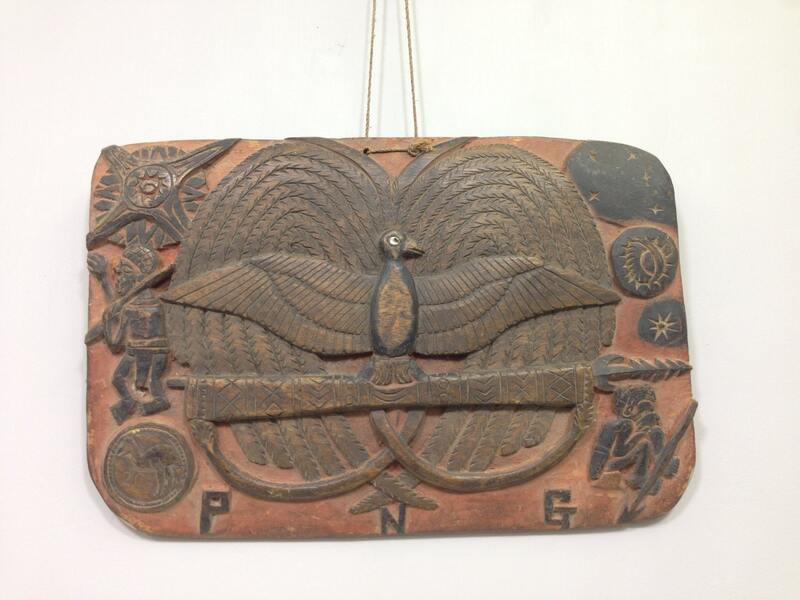 Working through the night, what was to become Papua New Guinea's National Crest was drafted, and the national emblem of Papua New Guinea consists of a Raggiana Bird-of-Paradise over a Traditional Spear and a Kundu Drum. 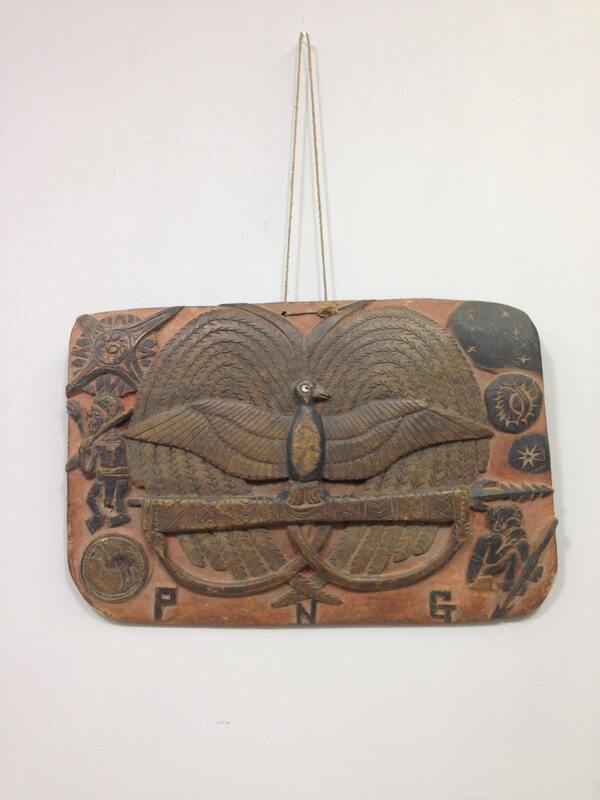 This is an interesting piece of History from Papua New Guinea that is hand carved and hand painted. 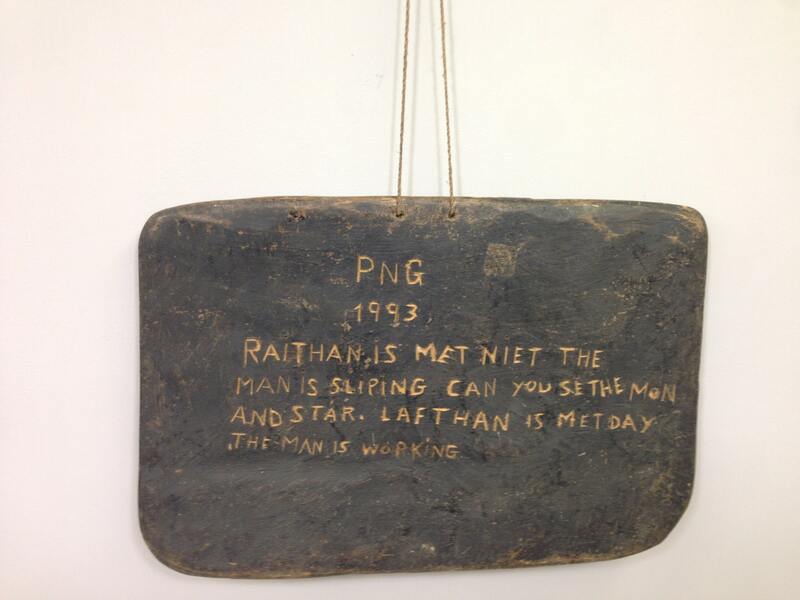 A very interesting item to hang in an office or your home and add to your collection.